Since the front of your home commands the most attention from the street it should also command the most attention in the marketplace and one way to do this is with your entry doors. Here are some things to consider for your next front door if you want to improve not only the curb appeal but also the functionality and security of your home. Beckworth LLC has found that most entry doors perform well overall. But the materials they’re made of—fiberglass, steel, and wood—each have strengths and weaknesses. And while a low-priced steel door can be the equal of a wood or fiberglass door costing five times as much, it’s not the best choice for wear and tear. Steel and fiberglass doors typically have more insulating value than wood doors. Models that are Energy Star-qualified must be independently tested and certified, and often boast tighter-fitting frames, energy-efficient cores, and, for models with glass, double- or triple-panel insulating glass to reduce heat transfer. You’ll find more details on the federal EPA’s EnergyStar website. Entry doors are also known as door systems because they come pre-hung in a frame and are often pre-drilled for a knob and deadbolt. Unless a replacement door is part of a larger remodeling project, you may want the new door to be the same size as the old one. It takes a quality door lock to deter burglaries and home invasions. Many crooks kick in doors to get in. But unless your door is hollow, it’s not the door itself that lets burglars in. Our tests with a battering ram have shown little difference in strength among door materials. All eventually failed because the doorjamb split near the lock’s strike plate, though we also found that beefed-up locks and strike plates can greatly increase a door’s kick-in resistance. 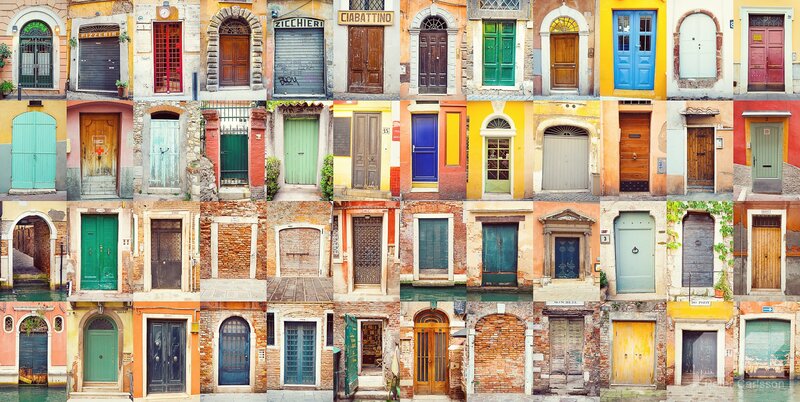 Here are the types of door materials to consider. A practical choice for most people. These doors are available with a smooth surface or, more typically, an embossed wood-grain texture. An edge treatment on some makes them look more like real wood. This type of door accounts for about half the market. Manufacturers offer dozens of options for panel and glass designs, grille patterns, sidelights, and transoms. The more elaborate the design, the more the door will cost. Here are the door features to consider when shopping. This helps keep any door weather-tight over time. Otherwise, you may eventually need to add a new sweep to the bottom to seal out rain and drafts. Glass inserts are attractive, but they add to the cost. If you’re buying a door with glass near the doorknob or with glass sidelights, consider a double-cylinder deadbolt lock. You need a key to open this type of lock whether you’re inside or outside, so a burglar can’t simply break the glass and reach in to open the door. These are the horizontal and vertical parts that brace a wood door. Solid-wood rails and stiles may eventually bow or warp. Look for rails and stiles made of laminated wood covered with veneer, which provides the greatest resistance to warping. If you’re considering new entry doors for your home, call Beckworth for a free quote (703) 570-6777, or use our contact form. You can also find good resources on our Blog or Facebook page.